In 1872, John Wesley Powell, the one-armed Civil War major, who hadled the 1869 descent of the Grand Canyon, was carefully guiding his horse through the sagebrush on the Colorado Plateau of the Great Basin. Powells first encounters with Indians in that vast aridregion generated a fascination that lasted a lifetime.On this triphesought an understanding of the Numa who consisted of the Paiute, Ute and Shoshone tribes.Even in the late 19th century, these peoplewere living a stone-age existence and contact with Europeans had been minimal. Powelldiscovered two things on that tripthat stunned him. Itdominated his thinking for the remainder of his life. First, the Numa had no concept of mental illness. Powell later remarked that he never met an insane Indian. Contrast this with the immense number of mentally ill people left in the wake of the Civil War. Healso discovered that post-menopausal women were rare. After their child-bearing and -raising years, they routinely grouped together, went into the desert and starved themselves to death. The Numa thrived in harsh arid climates, ate little protein and subsisted on pine nuts, seeds and roots. By and large they were healthy and possessed great stamina. Powells revelationsare insufficient to overturn our beliefs regarding the efficacy of modern medicine. But, over the years I have experienced a string of encounters that, when taken as an integrated totality cause me to pauseandconsider whether we are on the right path. Did we take a wrong turn as we exited the Garden of Eden? In 1969, I was taking a course in sociology at Montana State University. My professor was a PhD from Columbia who had come out to Montana in the 1940s to interview Indians who had been a part of the Battle of the Little Big Horn. Daughertystated more than oncethatin 40 years of studying Indians, he was never able to reconcile thatIndians believed that modernlife was causing lifeexpectancy todecline, not increase. Much later, in the 1980s, I had an encounter with a Sioux elder by the name of Wallace Black Elk. Wallace was the grandson of the original Black Elk, therevered holy man of the Sioux. Wallace had come to Denver to teach. In his lectures he routinely professed the belief that modern culture would be our demise, not our salvation. Heechoed the belief of otherIndiansthat life expectancies were declining. He expressed the view that our propensity togrowmonoculture foodsin intensive environments would inevitably lead to chronic brain-wasting disease. We all know that dementia,Alzheimers, Parkinsons, MS, Lupus and a whole host of brain-related orimmune-impaired diseases arenowepidemic. To theman on the street,this all appears a chimera. Most science-based professionals would go ballistic at any notion of folk medicines being more touted as potentially more effective than modern medicine. But, lets consider the writings of contrarians from within the medical establishment. In his book, The Role of Medicine?, Thomas McKeown, a physician, presents data that suggest much of the improvement in outcomes has actually come from public health improvements in water and sewer. He poses the possibility that modern medicinemay not be the causative forcein improving our health.As an aside, he poses a question as to whethermedicine isa dream, mirage or nemesis. Ido not seek to become aMartin Luther, protestingbynailing mytheses to the church door. I merely suggest we pause and consider as to whether spending such a high percentage of our childrens future is rational. If McKinsey, Deloitte and my own analysisare correct, a total accounting of health care expenditures and a consideration of the economic multiplier effect may mean nearlyone-third of our economy is nowhealth care related. With barely a whimper, we have, in one generation, destroyed export industries necessary to create wealth and replaced them with societal overhead. Almost every day our popular understanding of what ishealthy is overturned or challenged. First exhibit: the Food Pyramid! Should we really be taking aspirin? Does controlling cholesterol really reduce heart attacks? Does having insurance lead to better health outcomes? Are all of those coronary bypasses justified? In addition to questionable health remedies, the health care system kills hundreds of thousands of people every year as a result of iatrogenic disease (illnesses caused by medical treatment). And, we have to remember that prior to the 1970s health care consumed less than 4 percent of our gross national product. The advent of diagnostic devicessuch as the MRI and silver-bullet drugs such as the polio vaccinetransformed our views of the profession. In his 1984 book, The Social Transformation of American Medicine,Paul Starr chronicled the alchemical means by which the medical professionaltered itsimage from barber surgeon to Marcus Welby, MD. Health care will soon nominally consume 20 percent of gross national product in a country of 400 million who comprise less than 10 percent of the worlds population. We cannot spend such large sums and alsoexpect the rest of the planets population to achieve parity. Even the wealthiest country cannot promise entitlementsto everyone,when paying for such access necessitates borrowing to pay for it.It is not sustainable and it will stop, even if policymakers choose to do nothing. We are at a crossroads. One path is to use the blunt force trauma natureof public policy to restructure the industry and wring out the dead weight loss that has arisen from insurance, tax preferences and employer involvement. That will be exceedingly painful because the unaccounted for and unfunded liabilities are trillions of dollars. Thesecond path is to abandon the current system in favor of something radically different. I am not suggesting a return to a medicine man waving an eagle feather in a sweat lodge. But, we can learn something from traditional societies. Both India and China have 35,000 to 50,000 herbal remedies derived largely from plants and natural substances. A return to health care delivered in the home, less intense environments, preventive care and food as medicine all have potential. But, so does advanced diagnostics if we produced the technology at the scale we produce micro computers and put a device in every medical office.Genetics and personalized medicine using our understanding of advanced chemistry, physics and biology have immense potential. We are approaching a decision between one approach that leads to a mass, socialized system administered by the state and corporate oligarchs. The other way lives in the microcosm and is the path of the self-actualized individual assuming personal responsibility forhis health and its costs. None of us will ever know whether thoseold Indians were right or half-wrong; it was a different time and place. But, at an intuitive level most of us realize the institutional pill is addictive and leads to learned helplessness. When it comes to health care, we really do pay for it with our lives. 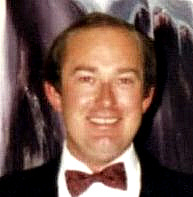 Francis M. Miller is the past president of the Colorado Business Coalition for Health and the vice chairman of the Colorado Health Data Commission. He founded the first consumer cooperative for health care called the Alliance and is the current president of Health Smart Co-op.